Pork Stew and Peas is a very popular recipe. 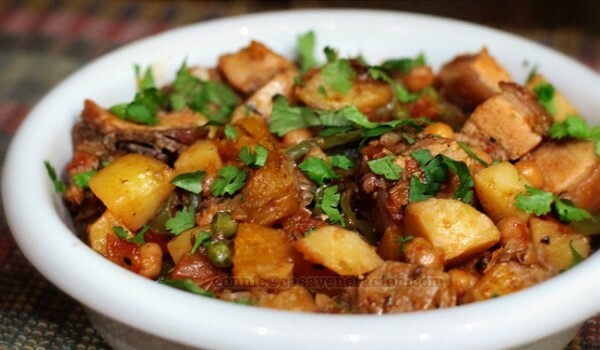 Learn how to make/prepare Pork Stew and Peas by following this easy recipe. Heat olive oil in a frying pan and fry the pork with salt and pepper for 5-6 minutes. Add onion and cook until the pork turns brown. Pour tomato sauce and cook for another 10 minutes. Add water, if required. Add peas and cook on low heat until the peas turn tender, stirring in between.